Finally here I am with a review about “Best Lover“. Thanks to the translation provided by Lee Da-hae fans Ely, Annya and Emok in Soompi, I am able to write this quite soon after the drama just ended. But let me tell you, this wasn’t an easy one to write mainly because of my mixed feeling about the drama. Actually the first question I asked myself after done watching is, did we get to see the best lover or the best couple in this drama? Or were we even supposed to see that? Before answering this, let me first share some thoughts about the drama and our girl there. It is undeniable that the story has many cliches and overused drama elements. That is not always a bad thing because I think that the execution can make old elements have a fresh taste although I can’t totally say that this happened here. I did like the hints and parts revealed in the story about the entertainment industry and the diversity of characters they picked from that world. While the story could have been kept simple and to the point, the writer took the other way around and a long time has been invested on side stories and relationships rather than focusing on the main couple. This would have been less problematic with a normal 16 episode drama but here we have each episode only 30 mins which is half the usual time and so squeezing all those elements in this short time gave so little time for the romance which should have been the main element in the story. Dubbing actors voices do usually affect your enjoyment and appreciation of their performances specially when it comes to emotional scenes. But I am glad that although I might have struggled a bit at the beginning to get used to it but in the end I think it didn’t affect my watch on the most part. Aside from our girl who I will talk about in details later but overall the acting was good. While I did think the actors played Ye Huan Ying‘s uncle and her father’s secretary were overacting for the most part with some annoying facial expressions specially from the uncle but other than that it was quite a good watch. It was the first time I see many of the actors here specially the Chinese including Zhou Mi. Despite the poorly written character but I think he really did a decent job here given this was his first ever leading role and second acting project. I think he has potential for growth as an actor and I believe he is sincere pursuing his acting career so I hope he do keep working on his craft and specially on his emotional acting and gets better with experience. Despite me loving how some scene were shot and the camera angles there which was refreshing for me (Like the very first scene with the sheep and also the very last scene for the wedding) but the overall directing and editing was underwhelming. The editing specially did annoy me at many parts. Sometimes it was rough and some times you feel scenes aren’t complete and moreover the way they used flashbacks for past events was not successful to make the surprise impact they wanted to give at many instances. The whole murders, kidnapping and conspiracy parts specially were poorly done and sometimes don’t make sense both from writing and directing. I really love all the songs in the OST although I may disagree on how they used them in some scenes. Also the score and background music were quite fitting. For the covers, I like the choice of the song Ye Huan Ying sang in her fan meeting but I am not a fan of that audition scene with Yan Xie Cheng singing. I don’t know but I just felt dis-attached although the song is nice. I was quite satisfied and happy with Ye Huan Ying and Yan Xie Cheng interaction in early episodes (I may mention that dating variety show scene as my favorite of that part) and with their relationship progression after marriage. I liked how they felt comfortable with each other and rather good companions during that time and was glad we didn’t get those childish interactions we usually see in similar dramas and thought we might be heading to see a mature relationship. What was left is us to see this relationship turning into romantic feeling. But unfortunately when we hit the middle part of the drama the focus was shifted more on XC’s relation with his ex-lover and the stylist character and I was left frustrated with XC’s actions more than anything else. For instance I wasn’t against his love for his ex but my main problem with him was the fact that I didn’t feel he felt any guilt while sharing skin-ship and secret meetings with a married woman. Also seeing how he continuously jumped into conclusions, misunderstood and mistreated HY at some points was quite annoying. But thankfully at the final few episodes we started getting some progression although it might have made more impact if we saw more depth in their romance before coming to that. 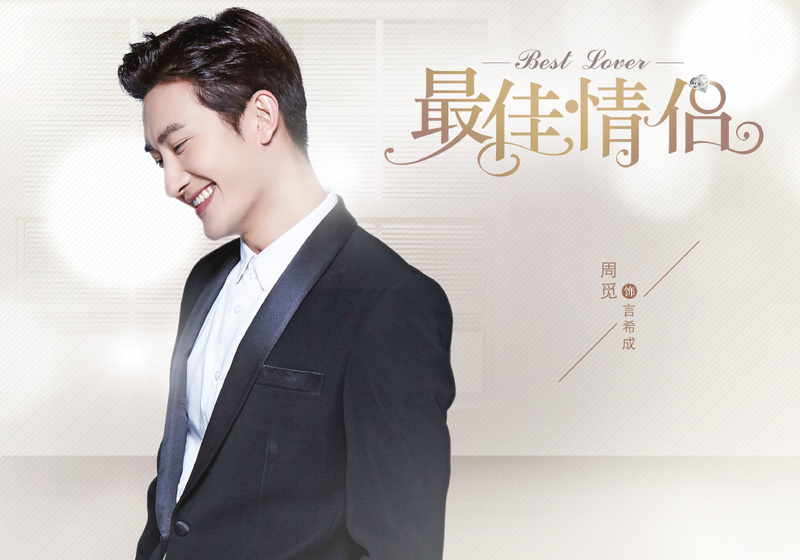 Overall I think Zhou Mi and Da-hae do match visually but sadly the story didn’t give us enough chance to judge or see much of their chemistry. While they might not shared a sparkling chemistry but they grew on me and I enjoyed watching their scenes together. I guess the ladies owned the top 3 of my favorite secondary characters and I would have wished to see more scenes with them. HY friend “Shin Na Ying” was also so fun to watch. Although the character was introduced late in Ep 11 but the friends conversations were quite touching and did allow us to see more of the real HY thoughts. Special mention goes to our second lead “Yong Jian” who despite being a villain but did give us some fun moments. It was disappointing that we didn’t see much of his interaction with HY or past relationship although he was supposed to be her “savior” as he called himself and they had dating scandal in the past. From just one scene (which he found fainting on streets and took her to his house) you could feel a chemistry between Park Gwang Hyun and Da-hae and I would have loved to see more of jealous XC. I am not exaggerating when I say that Ye Huan Ying is one of my favorite characters that Da-hae played and the best in the last few years may be since “Miss Ripley“. Despite not having much meaningful flashback scenes of HY’s early life with her family or debut and idol days which I really wanted to see but still from the bits of info we got of her thoughts about those days we were given a nice idea of her background. HY is a rather lonely person who suffered neglect from her father who always focused on his job and hold dear to her heart some of her memories with her late mother. She might appear cold, so full of herself and rough on the edges but you actually discover that this is just a cover so she don’t get hurt in case she got attached emotionally to anyone. First we get to see how she decided to protect her brother who she just knew about. Although she don’t show much emotion towards him in the beginning but you can sense that she do care about him and later she do show more love to him. Also despite being in a fake marriage when you see her interaction with her parents in law and how she loved being among them enjoying a family atmosphere again you discover that she is more humble than you think. That was proven when she goes to the market with her MIL and by watching her with her friend who not that high class. She do care about the people’s heart more than their appearance or status even if she say the opposite. Although she is a stubborn one who didn’t admit falling in love easily but from her actions you can see clearly what her heart says and I did like her progression. When it comes to Da-hae’s acting, I think she did a very good job portraying every aspect of this character. She was at best in scenes when she had no dialogue at all, her eyes said it all. So now to answer that question, I think the writer didn’t ever intend to show an example of best couple of best lover on a general level but it is the opposite. We were offered to watch the real life of a celebrity couple who may appear in front of the public as the best couple but in fact they aren’t. They are just two people who regard each other as strangers and struggles on their own and together to live the life they want but eventually they find in each other the best lover for their own self that they want to spend life with. Personally I think Da-hae’s second experience with Chinese dramas after “Love Actually” (although “Best Lover” is not totally Chinese) is better than her first as an overall project and also when it comes to her character and acting performance. It is also much easier to re-watch. I Hope her third drama”My Goddess, My Mother” will be better. Despite the disappointments I mentioned above, I still looked forward to each episode of this little drama. It is just the lost potential that is making me bitter!! I love lee da hae esp in Korean dramas. Compared to Chinese drama, LDH, in Korean dramas, is much more beautiful in beauty, expression, emotions, chemistry with her co-leads, even chemistry with her supporting leads, chemistry with her environment such as background sceneries. And, even the verbals exchanges with all were so smooth and great! The Koreans, as always, do it so well! But Yah, I do hope she makes do take a Korean acting project this year. this show annoyed me a bit from the Chinese and Korean overwhelming together. I watch Cdramas and Kdramas but them together at the same time is quite hard to focus, me being a speaker of both languages typing this is confusing myself also, but the overall plot is good, it’s just hard to focus that’s really all. And just to clarify, actually the original version which aired on Youku back in 2016 and which is still could be viewed there is actually dubbed in Chinese so you don’t here multiple languages from the actors. This is a Korean-Chinese co-production so they casted actors from both countries with the final version always planned to air in China with dubbing but seems Netflix got the raw version before the dubbing. In the end both cases aren’t the optimum to have but that is what you get with co-productions. Anyway, I am happy that more people have come to check this drama thanks to Netflix. Thank you for clarifying that it was meant to be all fully chinese, with dubbing. I found it extremely hard sitting through the first 10 minutes of EP 1 because I didn’t understand how Zhou mi could be raised up by Korean speaking parents and speak only Chinese. Not to mention him speaking chinese throughout the whole thing including interactions with his wife. It was even harder for me, because I knew that Zhou mi could speak Korean. But THANK YOU, cause i know now, and i don’t have to sit completely confused throughout the whole thing anymore. And I totally agree with you! The thing I really hated was the editing and how they laid out the storyline, there wasn’t one! It was too messy at times and was just confusing. I loved the love story but I felt that the drama was a lot focused on how HY evolved, she really had to learn to fight for herself which I really liked. In comparison, I felt that XC was more passive (he didn’t change the way he interacted with his ex-girlfriend for a while). But overall it was entertaining and interesting for my first Chinese/ Korean mixed drama! About your question, yes they did have interpreters on set for the Chinese actors since the filming was in Korea and the staff are all Korean. But actually both Zhoumi and Da-hae know Chinese and Korean so for those two specially, it wasn’t that hard for them to communicate either together or with other staff and cast members. ahhh that’s probably why they had a good chemistry! Thanks for you answer! Is everyone speaking in Korean or Chinese? Because to me, it sounds like everyone is speaking in Korean but Zhou Mi is speaking in Chinese. I’m usually decent at knowing the difference between the two languages, but I really can’t tell here. I didn’t watch the Netflix version to be 100% sure of the sound they used there but what I can assure is that in addition to Zhou Mi, there were at least 3 other Chinese actors( including the second female lead, her husband and the paparazzi) who did speak their lines in Chinese. If Netflix used their original voices as I assume so that was surely Chinese. I watched this drama on Netflix, and at first I didn’t catch the Chinese since I watch so many Chinese and Korean dramas, but then during the scene when they are outside laying in the porch at Zhou Mi’s parents home is when I realized he was speaking Chinese. Lol I was so use to hearing Chinese and Korean that I blended them 😂 and it sounded normal at first. I know that Lee Da Hae speaks Chinese, so I was still able to feel a connection between the two actors, but it was kind of off putting hearing them conversate in two different languages, it didn’t feel good hearing. In all I enjoyed the drama, but I did feel they could have done better with this particular drama. For the drama itself, it sure did have the potential to be much better than it ended up to be.